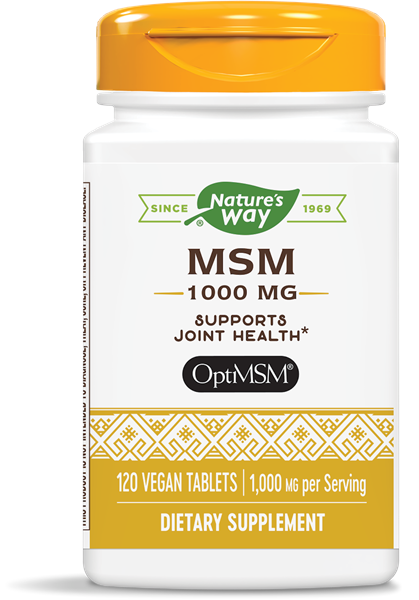 MSM 1000 mg / 120 Tabs - Nature's Way®. Methylsulfonylmethane (MSM) is a sulfur compound that helps support healthy joint function. * OptiMSM® is the pure and patented form of MSM. Take 1 tablet up to four times daily with meals or water. If pregnant, nursing or taking any medications, consult a healthcare professional before use.